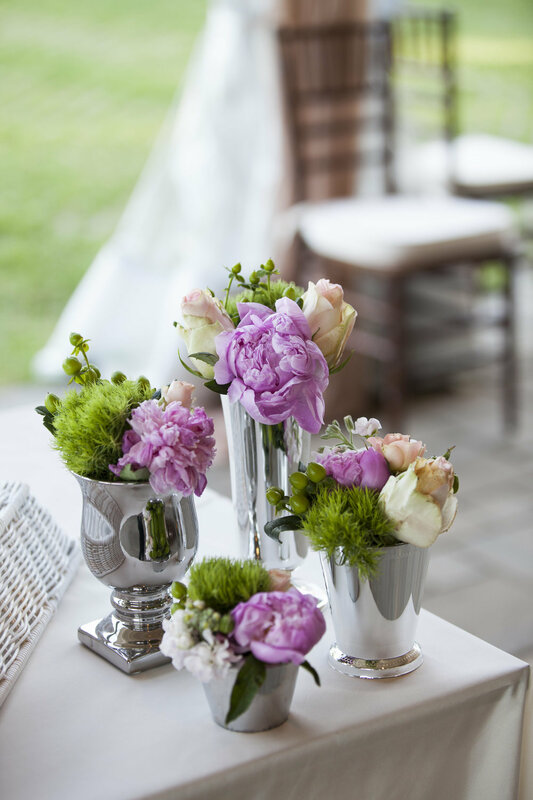 A gorgeous June wedding at Greenacres Art Center on a perfect summer day. There was a hint of chill in the air adding a sense of freshness and renewal to the blue afternoon sky. 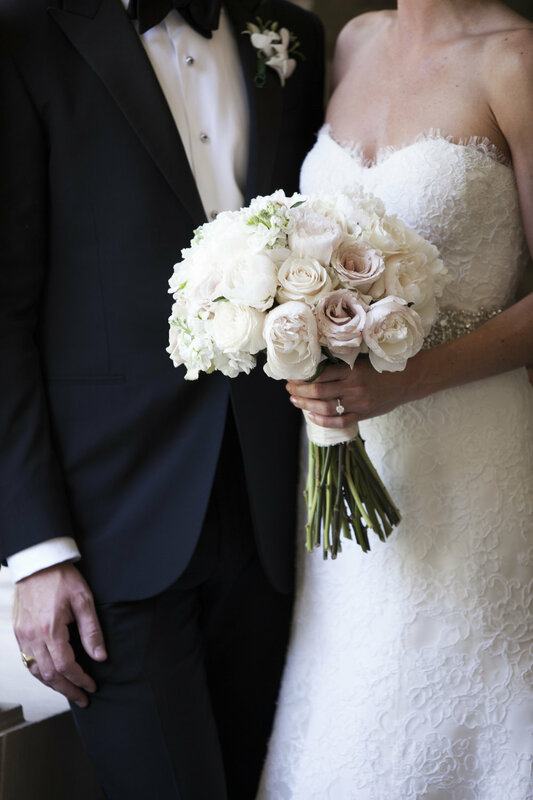 The couple's wedding vision was dreamy, abundant lush gardens where florals were the focal point. Every detail, from the dense floral arch we constructed to soft natural linens to tables overflowing with vine and leaf convey a sense of timeless romance. The bride's attendants each carried a unique bouquet. 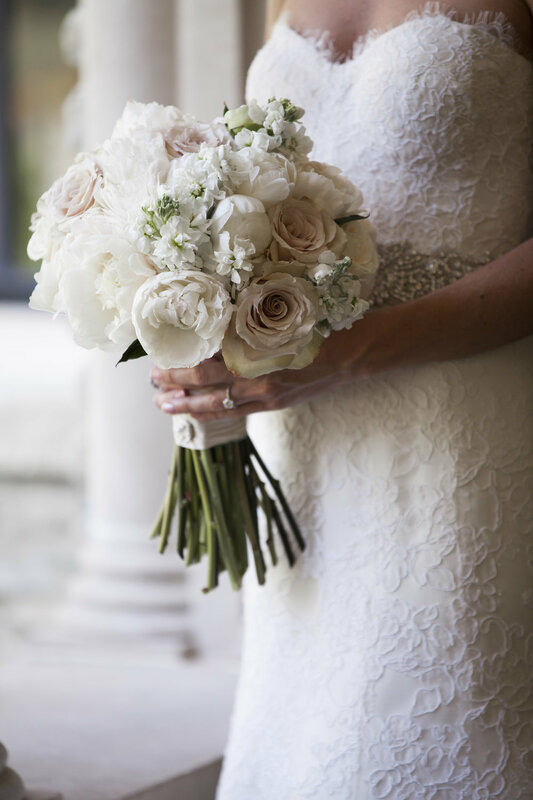 Wild peach and coral roses, papery pink roses, hydrangeas and tiny rose buds mingled together creating a dreamy, exquisite garden of floral delights. The ring bearer's pillow took the shape of a bird's nest filled with moss and wax flowers all tied with natural twine. The open tented reception was situated next to the stone walls and fountain of the estate. Both long and round tables seated guests which added a feeling of whimsy and playfulness to the elegant dusty rose and lace table cloths. 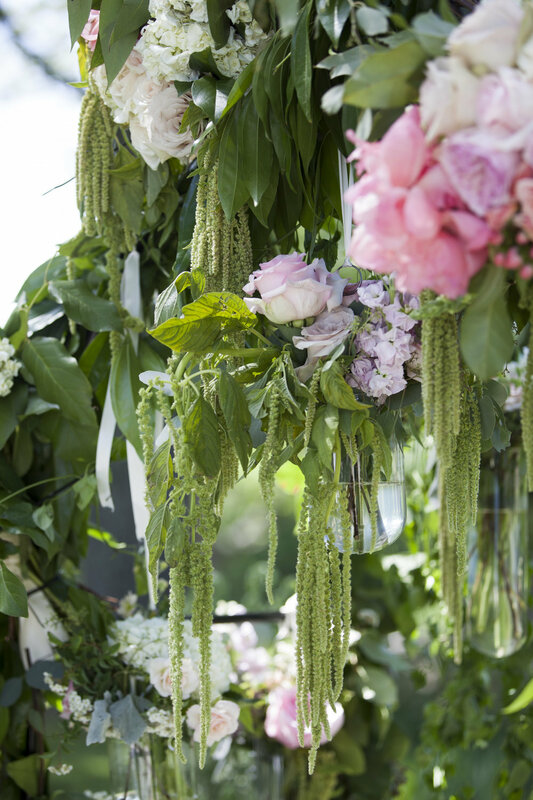 We created tablerunners by repeating the same greenery and pastel florals from the arch. 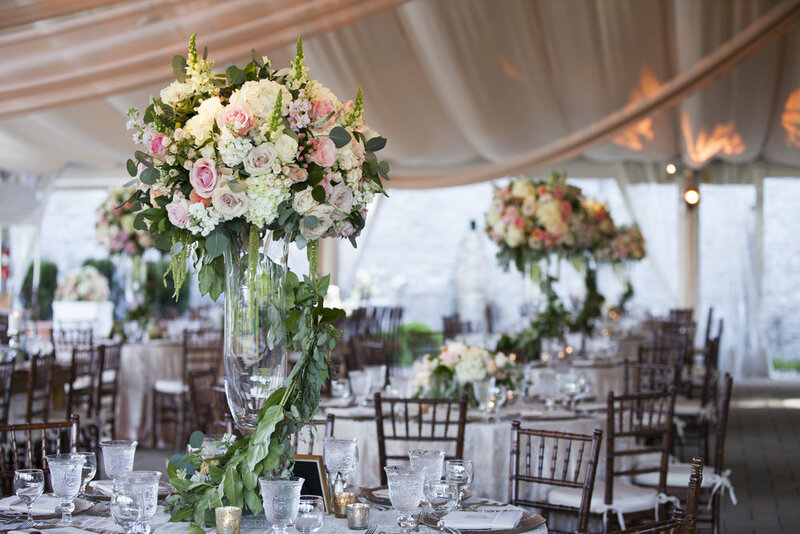 Each table had a stunning mix of foliage and fresh blooms warmly lit by golden votives that seemed like fireflies landing as the evening passed.